Using social media hashtags to advertise your business opens up a huge audience for very little effort. Every single day, millions of global customers search for specific hashtags. Hashtags are specifically-written phrases which represent topics that people find interesting. It goes without saying that companies who use social media to increase brand recognition can take advantage of directly targeted audiences through the use of appropriate hashtags. However, this is often not the case. The same generic, obvious hashtags used every now and again do not work anywhere near as well as a correctly researched bundle of rotated tags. Imagine you’re a potential customer looking for environmentally friendly airco ideas. You use #ecofriendlyhome, as this seems a promising term. It’s also one of the more common. This particular Instagram search, to date, turns up nearly 6,000 posts. That’s 6,000 people talking about that subject within a short space of time. If you happen to supply eco-friendly airco systems, including this particular hashtag could reasonably be expected to generate a lot of followers. Even more importantly, your followers are people looking specifically for the type of product you have on offer. When you supply or manufacture a relevant product, you increase your chances of making a sale. At the very least, your brand will receive higher recognition. Hashtag research should be an integral part of your or your marketing developer’s advertising budget. While the hashtag budget itself is far from large, the results of paying attention to the preferences of rapidly changing social media users are worth much more than the investment. The sites usually offer both (limited) free and (paid) pro versions. A good web developer will already have a subscription to more than one hashtag tool, especially as these are often included within a complete web marketing or development package. Only use the free versions to get a feel for the site. For professional use and professional marketing, you will need a professional hashtag tool subscription. The hashtag principle is the same as that of a keyword search. However, instead of giving you a long list of search terms, you get a list of the hashtags most relevant to your particular group of keywords. This enables you to link to your products and blogs on every possible social media channel. The term ‘eco-friendly’ brings up over 200,000 posts for #ecofriendlyproducts, while #ecofriendlyhome scores much less, but still generates over 5,000 posts. By using the most relevant hashtags and gathering them together onto an Excel sheet, much in the same way as a reputable web developer will work with your keywords, your presence on social media is guaranteed. This is not done by adding every high-scoring hashtag to every one of your posts (and blatantly advertising, instead of generating interest), but by chopping and changing between the most popular terms. Just like in your website content, no-one wants to read a piece of uncomfortable prose which simply ties multiple keywords together with nonsense. In fact, you’ll be fined by the most influential search engines. Stringing multiple hashtags together has the same effect. This method doesn’t generate interest but loses it. Which is why mixing a smaller collection of very appropriate tags will create more followers (read: customers) in the long-run. 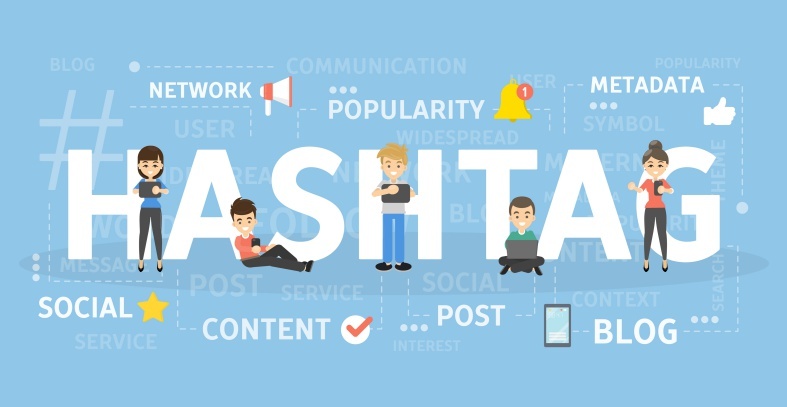 With your list of most appropriate hashtags, the next step is to use these to generate further relevant tags using the above-mentioned tools or tools of similar quality. Use more specific filters, limiting yourself to language, large geographical areas and particular (but not too niche) topics, for example. Once you have been able to add to your list, use more generic terms with a final round of highly specific filters. Those who are used to coming up with search terms will be very familiar with this process. Your Excel list should contain around 50 to 75 hashtags appropriate to your business (and thoroughly researched at three-monthly intervals). These tags should be rotated at very regular occasions in smaller, mixed groups. Most of the tools listed above also offer a look into what the competition is doing in terms of social media. When you get an overview of the most recent posts which use your particular hashtags, you will naturally get an idea of what your competition is up to. You’ll also be able to see which of their (and your own) posts get the most attention. Or find out who their top influencers are and whether it’s worth approaching them yourself. By analysing your and other people’s hashtags on a regular basis, you can make sure your business not only keeps up but sails ahead. This type of research just can’t be done manually. The time needed to scan through real-time social media would be incredibly long. In fact, by the time you gathered your data, social media will have moved on. This is why hashtag generation and analytics should be considered an integral part of your marketing and design budget, and the domain of the professionals – especially if your business is looking to expand into other geographic locations. Hashtag research is so important that is has become an essential part of any business’ Instagram strategy. Despite this, very few companies actually, take the time to do this correctly. That’s if they do it at all. A complete waste of a premium source offering a huge, highly-interested target public. A handful of the best hashtag tools will also allow you to find hashtag suggestions generated by a URL or image. While the technology still has a way to go, finding image-specific tags already has a place in modern marketing techniques. This method does not offer many filters, and images usually correspond to English or Asian terms. It’s worth using multiple images to find a range of hashtags that best suit your product or service, rather than relying on the results of one. Whatever the current state of the technology, URL hashtag generation will become popular once the technology allows it. It’s also an idea to use a hashtag tool which allows you to remove hashtag results that don’t appeal to you or your audience. A search of eco-friendly, for example, also comes up with very high results for #ecofriendlyfashion. As our previous example dealt with air-conditioning, the option to remove a large number of non-relevant tags saves a lot of time and effort. In this case, adding ‘fashion’ to the negative word list will remove a large number of irrelevant hashtags. Not all hashtag tools offer this service, however. Which is why the ‘try before you buy’ option, or using a professional developer with more than one quality marketing tool subscription, is important. Obviously, the more you analyze the results of your hashtags, the more you will get out of them. As social media is constantly changing shape and direction, so must your social media marketing. By keeping up to date with your chosen terms, you can ensure your company remains in trend. This not only encourages long-standing influencers to trust your social media presence (there’s nothing less satisfying than reviewing a product which suddenly disappears from the face of the earth), it also creates long-term brand recognition, loyalty, and trust in your (potential) customers. One way of analysing your hashtags is to test a handful of them every 10 to 20 posts. By the end of a three-month interval, your total of 50 to 60 hashtags will have been thoroughly tested, tweaked or removed according to their levels of interest. This is not a once-yearly process, however. By allocating an analyst or developer to make frequent hashtag tests (as you should be doing with your content keywords), you are guaranteed to keep up with the latest social media trends. While a good percentage of your most effective hashtags will remain the same for years, approximately 20% will need to undergo changes. This may have to do with changing technology, new buzzwords, the negative effect of a competitor that offers a low-quality version of your own product, or the area in which you trade. All of these factors and countless others can cause a previously effective hashtag to become redundant. It is only through regular analysis that hashtag changes can be made in sufficient time. When it comes to keyword research, most businesses are prepared to pay up. While the hashtag has as much relevance, it is often ignored. Social media is a constantly changing entity, metamorphosing at a much more rapid rate than any website and most apps. Ignoring the importance of the hashtag is a huge mistake, and failing to calculate a hashtag generating and analysis budget is the same as turning one’s back on a target audience that is specifically searching for what you have on offer. Hashtags must be taken as seriously as keywords in any business, receiving a similar budget and taken care of by a similar level of professionalism.